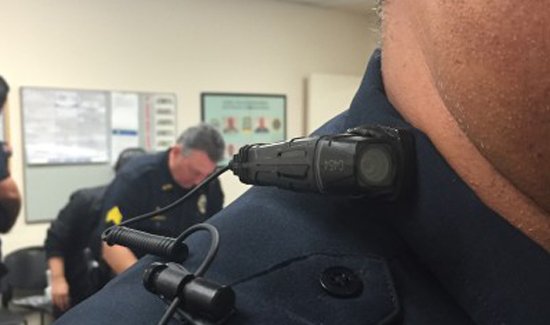 The Kauai Police Department started using body cameras in December, despite union protests. The union representing police officers in Hawaii – SHOPO – has asked the Labor Relations Board to issue a cease and desist order until negotiations over body cameras have been completed. Union officials are also seeking reimbursement of legal fees and other costs. They support the use of body cams but say their use cannot be a violation of their collective bargaining agreement. Body-Worn Cameras constitute a condition of work, and are thus, necessarily a subject of mandatory bargaining that requires the mutual consent of both parties. The Employer’s purported camera policy requires police officers to wear the Body-Worn Cameras throughout their shift, requiring minute by minute decisions on whether to activate or not, consider privacy issues, emergencies, etc. and subjects them to disciplinary action for violations of working requirements associated with the usage of the cameras. The policy also dictates when and where the camera is required to be used and not used; when the camera is to be turned on and off; duplication of recordings; downloading, securing and storing of recordings; where the camera is to be positioned on the officer during on-duty hours; what disclosures are to be made by an officer to a member of the public that may be the subject of a recording; whether the public can review a recording at a scene; and what types of reports are to be generated by an officer making a recording. SHOPO’s complaint does not come as a surprise. The union has threatened for months to ask the Labor Relations Board to step in should the Kauai Police Department start using the technology without its express consent on a final policy. Kauai Police Chief Darryl Perry, however, has been undeterred. He does not believe he needs final approval from SHOPO before implementing rules for body camera use. In December, he ordered his officers to start using the technology.